When I look at ZimDancehall (simply shortform for Zimbabwean Dancehall or Ragga music) in general, the genre has truly swept Zimbabweans off their feet. For some time it seemed like there was no way in hell Zimdancehall would do that. Not as its own genre. It had its place in Urban Grooves but didn't have the artists to carry it bar Winky D who was in a league of his own but most importantly, it wasn’t producing much quality music. Most of it was copy and paste of the dancehall we already knew. Touche, because this is exactly what Urban Grooves was in the early 2000s when it started out. Although we had some phenomenal ‘dancehall’ Urban Groovers such as Major E, Highgrade, Brown Sugah, Kuligan & Kalabash, Decibel, Rassie Ai, Taona, Wreckless et al, they were never really a separate branch from the Urban Grooves fulcrum. Urban Grooves was basically the untouchable genre. I mean it gave us some of the greatest young artists we ever had in the country. The likes of Roki a.k.a Rockford Gold, MaFriq, ExQ, Plaxedes Wenyika, Ngonie Kambarami, Trevor Dongo, Betty Makaya, Xtra Large Maroja, Cindy Munyavi and the list goes on and on and on. How would anyone dare challenge it’s status? This is in a way what Kwaito was to South Africa in the early-90s to mid-2000s. It knew what it wanted to be, yet in entirety could simply not be just one genre. When you listen to the makeup of songs such as It’s About Time by Boom Shaka, you realise it was distinctly more RnB Hip Hop than Kwaito. If you listen to Shona Phansi by Twins it was an RnB ballad dubbed Kwaito at the time. Another example is Stitch’s La La La, that was a dancehall song on a Kwaito beat. A lot of genres were simply jumbled up into one to make them ‘kwaito’. For every 10 Kwaito songs, there were 5 that were cross-genre. In reality, Kwaito was a mix of different genres that the South African youth used to express themselves. A lot of that music was already defined world music styles that appealed to these youths. A Hip Hop record in Zulu is still, well, Hip Hop. Over time, this did change as individual genres became more streamlined and that unique Kwaito sound became more apparent. Just as well, Kwaito died a natural death after largely outgrowing its purpose in the 2000s. This is a close cousin to the story of Urban Grooves. Was Urban Grooves Going To Last Anyway? When it started, it made sense to just call all music by the youth through one identifiable name. What we should have really known was that it was probably never going to last. First of all the name itself was kinda awkward. ‘Urban Grooves’ from where? What is known as ‘urban’ music in the US is defined as ‘denoting or relating to popular dance music of black origin.’ The disconnect is that this term never really resonated with Zimbabweans to begin with. The irony is that it was partly fitting in attempting to pass off the genre as just African American-influenced Zimbabwean music. What Urban Grooves lacked and desperately tried to find was originality. The master ingredient. I think it’s important to look at the elements that make Zimdancehall a standout genre. It does a very good job of depicting the reality on the ground in a language, tone and voice most people understand. In that regard it makes sense that it borrows its main sound from Jamaican reggae dancehall music which has a long history of appreciation in Zimbabwe following the legendary Bob Marley independence celebration concert live at the Rufaro Stadium in Harare in 1980. This love affair has been strong ever since and continues to this day, with the cool of dancehall-listening, patois-speaking youth in Zimbabwe’s neighbourhoods. Zimdancehall is a crossover genre with its most popular songs and performers bridging the divide between ‘maSadza nemaSalad’ locally in Zim. Even white, Indian,and coloured Zimbabweans are in on it. Remember the Musarova Bigman rendition by the talented Gemma Griffiths? That was a serious endorsement of Zimdancehall’s potential to unify and appeal to everyone. As if that isn’t a big deal on its own, Zimdancehall is a point of connection with home for diaspora-based Zimbabweans. Many of the Zimbabweans in the diaspora that haven’t been home in a long time turn to music to paint a picture of what home is like. Enter Zimdancehall with its vivid portraits of Zimbabwean life. This is one major way local slang makes its way to the diaspora. I remember when Winky D made a name for himself on the Luckspin riddim with the monster hit, Ndiri Rasta. At that time Zimdancehall sounded a certain way - the beats were the traditional dancehall sound and many artists sounded similar. You could match a Zimdancehall artist with the Jamaican equivalent that inspired them. One artist that always found a way to reinvent themself was Sniper Storm who endured every single era of the Zimdancehall surge until it became the mainstream genre of choice. His music throughout the last 16 years basically mirrored whatever Zimdancehall sound we had at every stage. He probably doesn’t get as much respect in the Zimdancehall fraternity as he should. The core of that Zimdancehall sound of old is what was reignited by the 2018 riddim of the year, Panom*m* Munhu Riddim (yeah, I’ve called it already). It invoked a certain nostalgia mixing a sound we all once knew and a talented lineup of artists with clever lyrics hungry for the main stage. Panom*m* Munhu Riddim is not the riddim that will mummify that old dancehall sound and keeping it enshrined for the future. It just came at the right time, with the sun at the perfect angle in relation to the greater universe to drive the hydrologic cycle and of course, Bob no longer poronga’ring Zimbabwe for all of us. Other than that, producers Levels and DJ Fantan of Chillspot Recordz did a stellar job of getting together a mix of established and new artists to ride the riddim. What was even more impressive is that the newbies upstaged the vets on the riddim and ran away with Zimdancehall for the rest of the year after that, in particular, one Enzo Ishall. Kanjiva is EVERYWHERE right now. As I write this, there is something not quite apparent to most people. Zimdancehall has become the most popular genre and overtook Urban Grooves because it evolved. In spectacularly quick fashion and A WHOLE LOT. 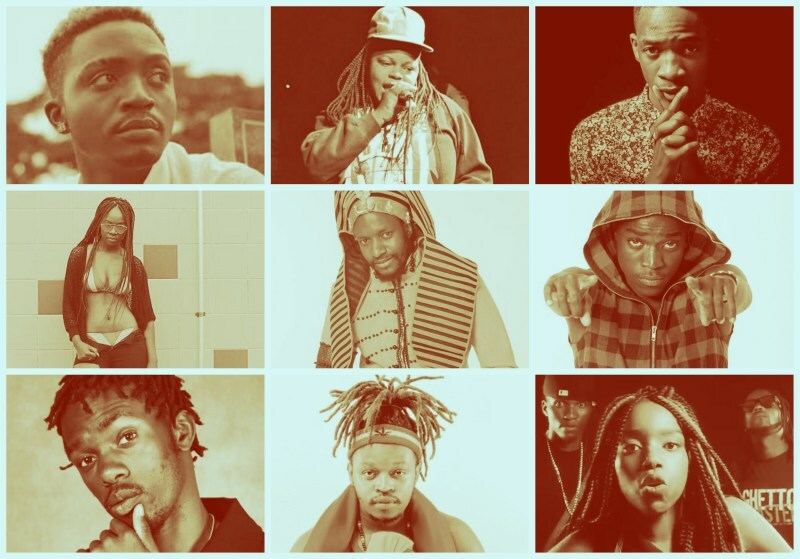 We have the Major E, Highgrade, Yombree, Brown Sugah, Potato, Marlvin S, Decibel era, then Winky D, Sniper Storm, King Labash era then the Killer T, Seh Calaz, Winky D (AGAIN), Dhadza D, Dobba Don, Sniper Storm (AGAIN) era… Zimdancehall’s best and most consistent artists have largely moved away from the core of what made the genre a mainstay in Zimbabwean music preference. How Exactly Did Zimdancehall Stage This Coup? The change started with a deviation from delivery that relied heavily on imitating Jamaican artists. Artists became more inclined to express themselves with more depth and in ways the rest could truly grasp. Secondly, rather than barely understandable, patois-inspired lyrics that half made sense, the leading acts moved to either pure Shona or mostly Shona lyrics. This changed the dynamic. Patois sounds cool when you listen to Jamaican and Caribbean artists doing their thing but it flies over a lot of people’s heads in Zim because unless you are into that kind of thing, it sounds unnatural when a Zim artist does it. Subtle switch but masterstroke. Thirdly, the music has changed. Listen to some of Killer T’s songs this year. Songs like Ndamuda, Makanga Mandikanganwa and Gore Nyuwani are hardly ‘dancehall’ in any way. Same goes for Winky D’s Dzika dzika ngirozi song. How about Jah Signal’s - Sweetie (Shinga Muroora)? His name alone is very ‘dancehall-esque’. These guys are singing in a different but very Zimbabwean way and capturing larger markets that way. The wider Dancehall is the genre that allowed them to explore their musicality to this point but is no longer the genre carrying their careers. This is when I realised that the ‘Zimdancehall’ term is outdated. It no longer represents the depth in this style of music. All that is really left in the genre is the concept of the ‘riddim’ which gives the younger, undiscovered talent a chance to be heard on a larger scale. For the most part, the composition of the music sounds like the dancehall of old when there were greats such as T.O.K, Lady Saw, Mr Vegas, Tanto Metro & Devante, RedRat, Elephant Man etc. Jamaican Dancehall doesn’t even sound like that anymore. Basically the reason why we have so many riddim albums and medley videos in Zimbabwe is because that is one of the few ways mushandirapamwe is working for the ghetto youths desperate for a break in Zim music. Blame the economy, I don’t know. Those are hardly unreasonable prices in many other places but Zim. In our situation that is a serious wad of cash that many simply cannot afford to part with while chasing a career that may/may not pay off. Instead, you go to one of the smaller, ‘mukoto’ studios and they have ‘free’ in-house riddims on selection and charge you $10/hr to record. Easy choice for someone without a lot of money. It played right into the hands of maGhetto youths who could give themselves a shot at popularity and a much sought-after music career. And the ghetto is a talent hotspot. More of these small studios started cropping up in every ghetto and the music followed, in bucket loads. A fifth, and often ignored, point is that Zimdancehall changed the music marketing landscape in Zimbabwe. It changed itself and the landscape altogether. Zimdancehall artists were finding it hard to get on radio and compete with the established Urban Grooves names. Some radio DJs wanted to be paid to play tracks - this is commonly known as ‘payola’ worldwide. I know because I had to pay a few guys back in the day. Urban Grooves music was very hard to find with some songs only ever available on radio and even harder to find in stores. There was this ‘us’ vs ‘them’ feeling. Artists would purposely make their music exclusive to only a few. So when you did find the album, you would make an effort to get a copy. This went on for years. One Zimdancehall genius decided to just give his music away for free on USB sticks to kombi drivers and to anyone that had a WhatsApp number. So now if you wanted to hear the authentic ghetto sound, radio wasn’t the platform. You just had to hop onto any kombi. This is how mass distribution of Zimdancehall began and radio stopped being the monopoly platform to hear true Zim sounds. In modern terms, like Uber disrupted the taxi market, Zimdancehall disrupted music distribution in Zim. Marketing masterclass. Urban Grooves in its aloofness was none the wiser. Now Zimdancehall is probably the biggest crossover genre in the country and the diaspora. And Zimdancehall said…. Let me finish off by proposing a new, official name for what is currently known as ‘Zimdancehall’. If we are to give Zimdancehall a new, fitting and awesomely Zimbabwean name, we don’t need to look far. We’ve had the name for years but just don’t use it as much as we should. We should call the genre ‘Mangoma’ (Shona slang term translating to ‘drums’ or ‘hard-hitting drums’). The genre is now simply too big and uniquely diverse to be credited to another country like that. Mangoma, the genre formerly known as Zimdancehall, is the biggest Zimbabwean music genre right now and for the foreseeable future.